The Purple Scarf: Home Life: I Design My Dream Living Room from Modani! Home Life: I Design My Dream Living Room from Modani! Last month I was among a group of bloggers that was approached by furniture company Modani modern furniture to design a room with their products that reflect our personal style. I always have fun decorating my apartment, and jumped at the chance of styling my dream apartment with a dream budget! 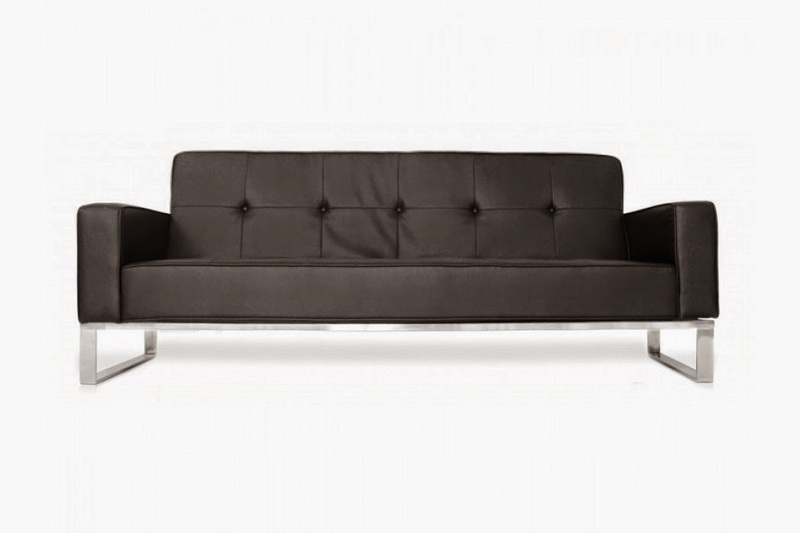 Modani is a furniture store that offers high quality designer furniture specializing in contemporary and modern pieces. Modani challenged me to design a living room setting infused with my personal style. As no surprise to my readers, my style is a little eclectic, which is represented in the room I designed. I love mixing different style expressions in my outfits which is the reflected in my dream living space. I also live in a bachelor apartment, so my living room area is also my work space. Instead of a T.V. stand (I don't own a T.V), I would place the Essen Office Oak Desk in black, which has alot of storage space for all my office supplies, and the Slim Table Lamp on it. And instead of using an office chair, I opted to use the chic New Louis Black Armchair. 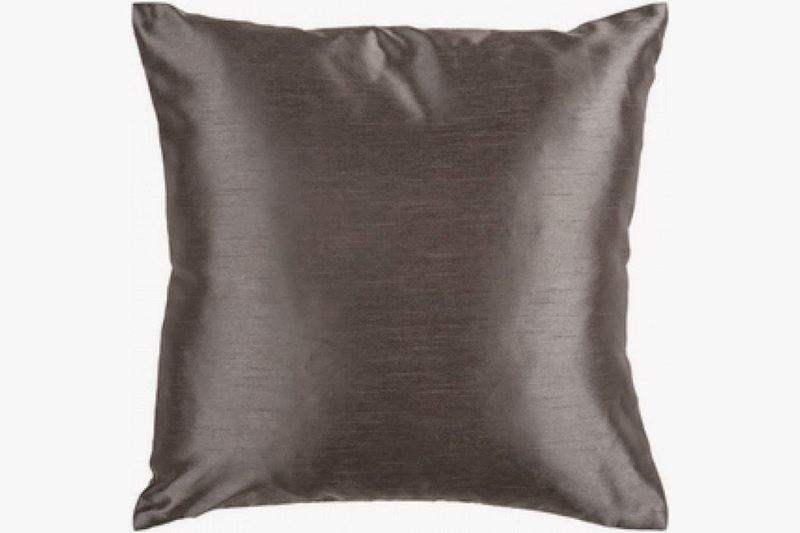 Across from my dream work space would be the Onyxia Sofa Bed in black, with the beautiful Jaipur purple and Das silver cushions thrown on it. 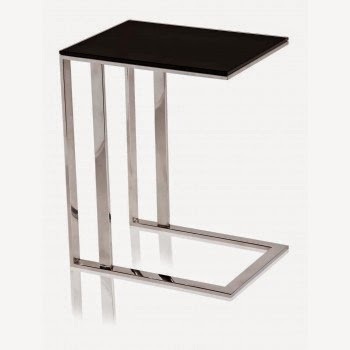 The Khole Side Table in black is perfect to place beside the sofa. It's a great table to use my laptop on or to just hold a cup of coffee. 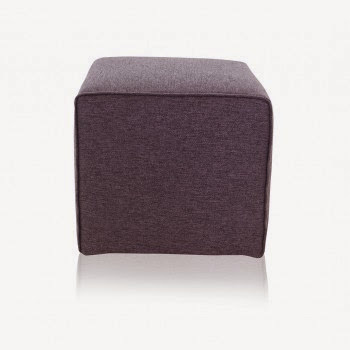 I would also add the Carre Stool in purple for when I just want to relax and put my feet up! 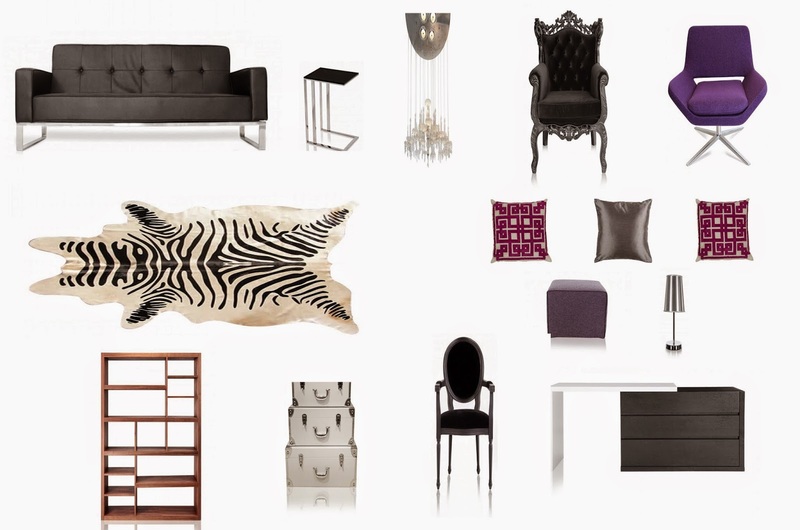 I love the two different styles of the Axel Lounge Purple chair and the Royal Armchair in black! They both look so comfortable, funky, and fun. The different size cubbies and shelf lengths of the Lugano Library bookcase is so cool! 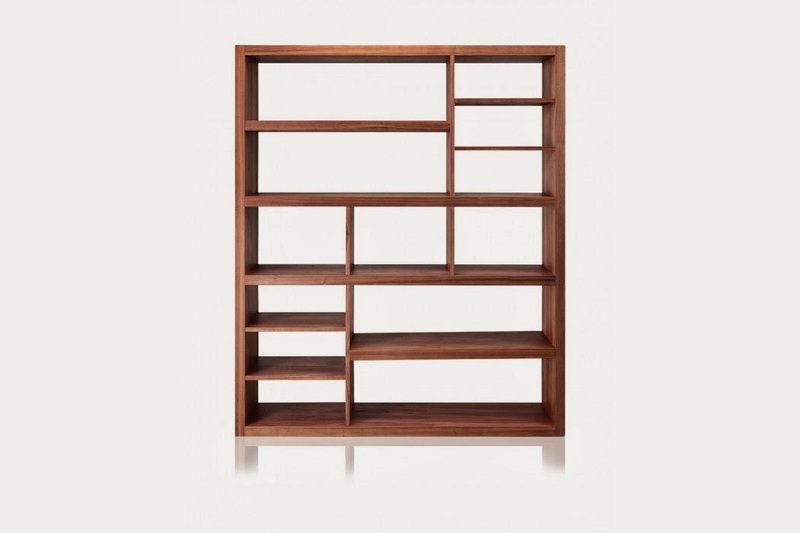 All my framed photos, accessories, and books, will look fabulous displayed in this bookcase. I don't like the brown colour, so I would either paint it black or purple. I also couldn't resist adding the Suitcase Shelf to my dream room. 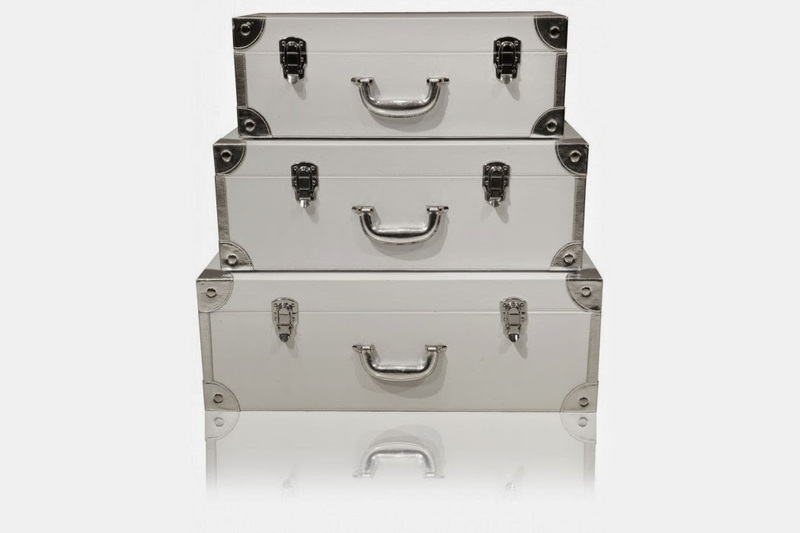 Not only is it practical but beautiful as well. And finally the two pieces that bring the room together are the Zebra Rug - because I always wanted a zebra print rug - and the stunning Large Shadow Chandelier! I love this room! Modani has so many beautiful and chic furniture pieces; it was hard to choose which ones to use in my dream living room! All the pieces I chose reflect my personal style and I would love to actually own. All what's missing from my dream living room is my cat and, of course me! Do you like the room I designed? What are your favourite pieces? P.s! : Most of the pieces I chose are on sale! Please visit the Modani modern furniture stores for more information! You did a great job mixing styles. It's always fun designing our dream home decor :) Great meeting you this weekend! 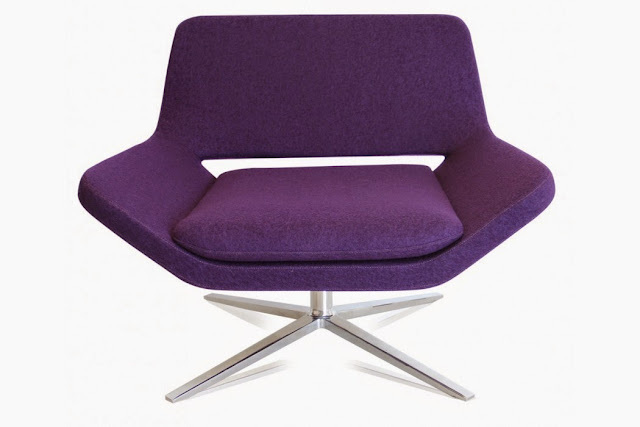 Really I fall in love of the two different styles of the Axel Lounge Purple chair and the Royal Armchair in black! They both look so comfortable, funky, and stunning. What a cool amazing color combination. Thanks for sharing. Can you tell my the price of these chair?